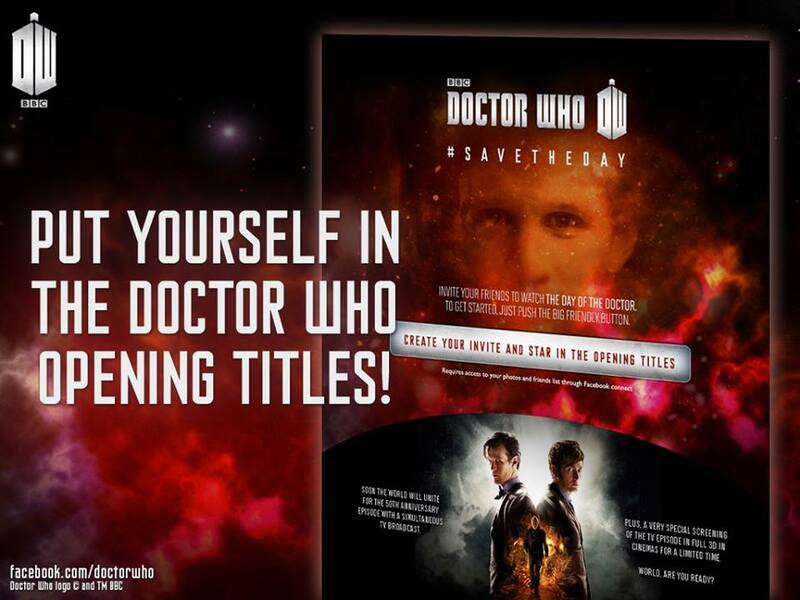 The BBC Doctor Who Facebook page has created a digital invitation to the 50th Anniversary Special, The Day of the Doctor, which allows you to put your name and face into the opening titles. You can then share it with all your friends. Access to the invitation generator can be found here. In the meantime you can check out the Doctor Who Mind Robber’s invitation here.